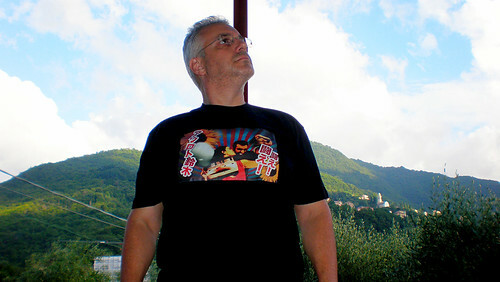 Bad picture of old blogger wearing average t-shirt with amazingly shopped image of beautiful picture of proud bloggers in weird pose. Bellissima!!! ma dove si compra??? non bado al prezzo!